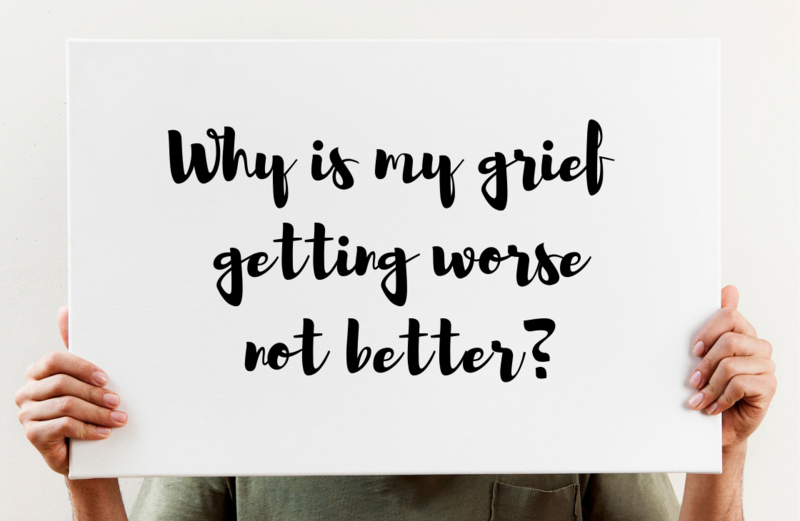 We all expect grief to affect our lives when someone we love dies, but what we usually don’t expect are all the other griefs we find in the wake of our primary loss. These are called secondary losses. Primary loss is that an individual has died and is no longer actively in your life. Secondary losses are all of the things and roles that you’ve lost as a result of the absence of that individual. These secondary losses are especially malicious because they slowly reveal themselves over time, when you’re not expecting them. You may not realize ‘til tax season that your wife always filed the taxes and you have no idea where to even begin to get them done. Or maybe it’s not until it snows that you realize that you’ve never needed to learn how to operate your snowblower because your husband always did it. Or maybe at a friend’s son’s wedding you realize you’ll never get to see your child grow up to have a wedding of their own. The list of secondary losses can be unique and lengthy and can make it feel like grief is piling up on you. This is the place where people, if they’re going to get stuck, usually get stuck. It’s a combination of mounting secondary losses—which can feel overwhelming—and cognitive dissonance—an inability to bridge the gap between the way we think things should have been and the way they actually are. Instead of confronting the exhausting, continued series of secondary losses and working through them to resolve the deficits they create in their lives, people will sometimes lament that this was “not how it was supposed to be” and shrink away from or deny their new responsibilities, which can make an already complicated situation even more difficult. It’s a worthwhile exercise to look at your primary loss and write down or mentally assess the secondary losses that it has created. Then, if it’s something practical, find a resource to fill that void; if your husband took care of your lawn, maybe plan to pay a neighbor kid to mow it for you. If it’s more emotional, like grandchildren you’ll never have, maybe find a way to support other children through volunteering. If you lost your travel companion, maybe research group travel tours. Of course, none of these things will exactly replace what you’ve lost–in some cases not nearly–but having a plan for how to manage secondary losses when they arise can help you regain some of the sense of control you’ve lost and help keep you from getting stuck.